Just 21 days are remaining for the 2010 Football World Cup South Africa and everyone is excited to watch this grand event. 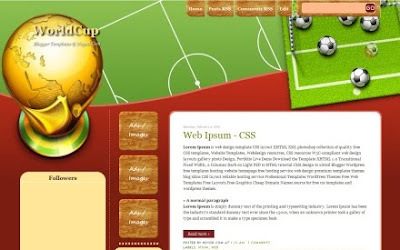 Many football enthusiasts have even started blogging about the Football World Cup, providing all the news about the team selection, group draws and even predicting the winner. 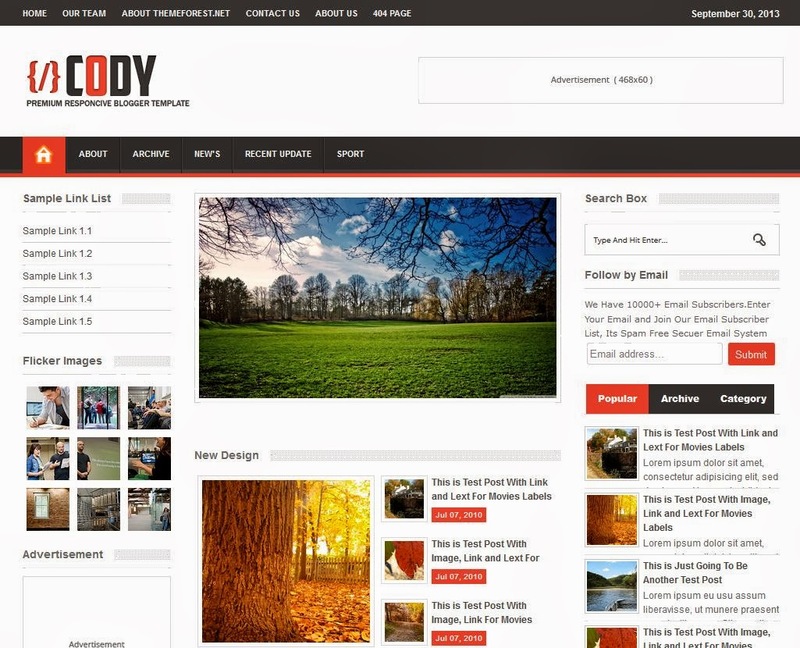 As a result we decided to share some Blogger templates that were created specially for the 2010 Football World Cup, so that the football fans can use a blogger template which matches their topics. 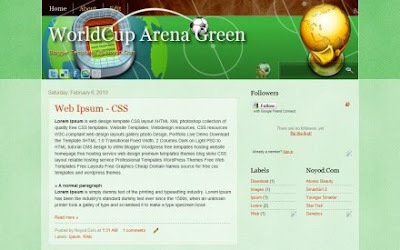 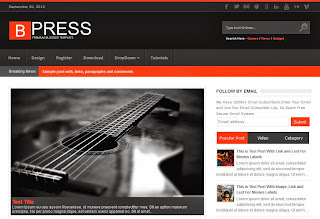 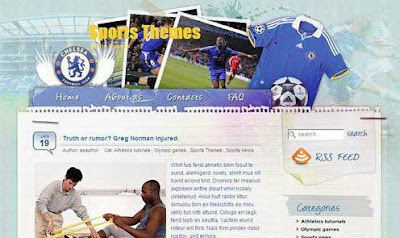 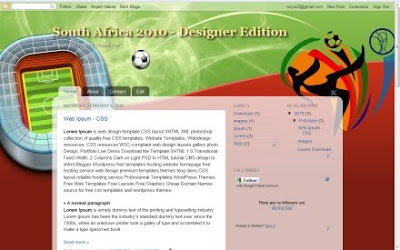 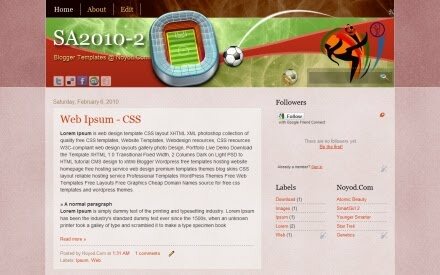 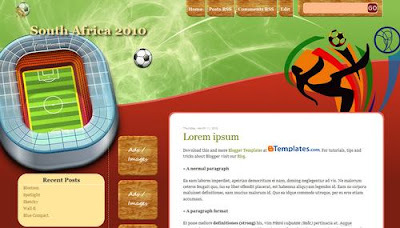 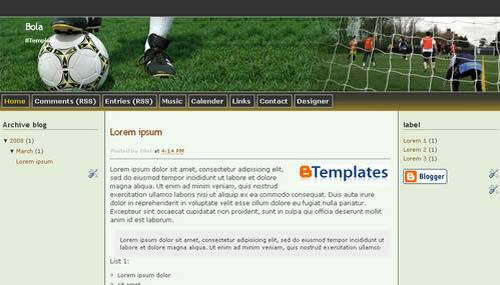 We have shared 12 Football (or Soccer) Blogger templates of which 6 have been created specially for the 2010 World Cup. 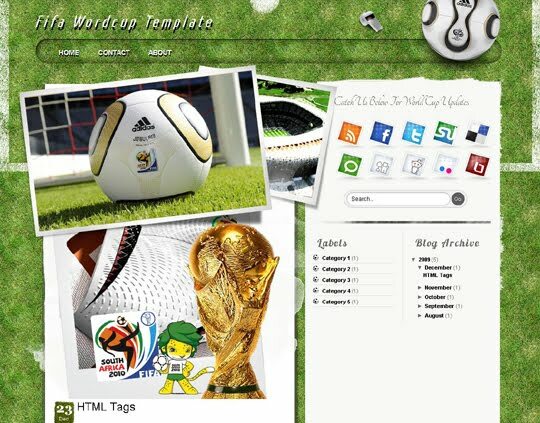 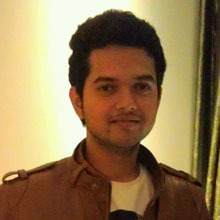 We hope that you love these templates and do give your comments about the templates. 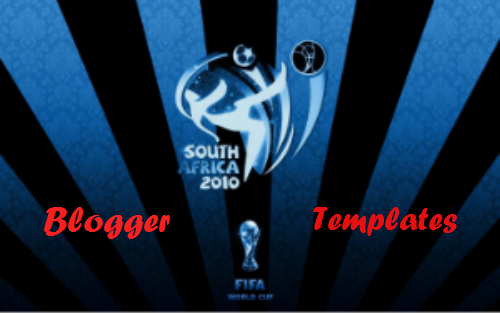 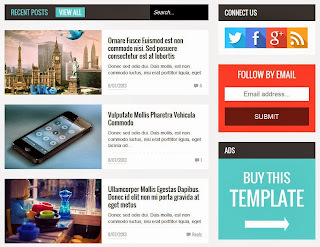 However if you don't want a different template for your football blog, then you can check some of our Blogger Template posts to find a template of your choice.